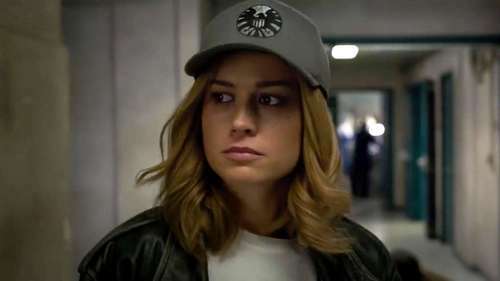 2019 Captain Marvel’s first trailer was released just recently on September 18, 2018 and after just 2 days; the trailer already got 18 million views on Youtube. This should pretty much tell us how hot this movie. So with no further ado, let’s see what we know about Captain Marvel so far! 1. Who is Captain Marvel? Captain Marvel is a female superhero in Marvel Universe and arguably one of the most know Marvel superheroes. And in case someone mistakes her for other character, this Captain Marvel has no relation to the “Captain Marvel” Shazam in DC Comics. In fact, at the beginning Shazam was called Captain Marvel for a short period until Marvel Comics claimed copyright of the name. 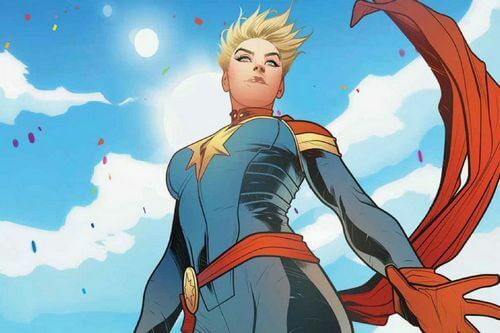 In Marvel Comics, Captain Marvel’s real identity is Carol Susan Jane Danvers (or Carol Danvers for short) – a former US Air Force intelligence agent, security captain for NASA, and a famous writer and editor. Like many other superheroes in Marvel Universe, Carol Danvers had quite a difficult early life. She was the eldest child among the three in a traditional Boston family. But for some reason, her father did not accept woman as man’s equal, resulting in Carol’s constant effort in proving her worth before him. But no matter how hard she tried, her father chose his middle son to be able to join college despite Carol’s superior academic performance. When Carol was 18, she decided join the US Air Force and she quickly reached the top. Then one day, she was shot down and captured by a man called Ghazi Rashid while flying with an experimental jet through Arabic air space. Carol got tortured for days, but surprisingly she escaped despite all the serious injuries, thus even able to inform the intelligence community. Despite all these hardship, she got recognized and recruited to into Air Force Intelligence. Around this time, she also worked with famous figures like Black Widow, Logan (Wolverine), and Victor Creed (Sabretooth). At one point, NASA offered Carol a position as the head security; however, it also started a long time of hardship in Carol’s life. Here, she met a Kree soldier named Mar-Vell. Then months later, she was kidnapped by an alien robotic intelligence called Cyberex. But everything did not stop there. She was eventually kidnapped (again) by a Kree commander named Yon-Rogg, and she even had to fight against Mar-Vell. During the battle, she was knocked to a damaged Kree device named Psyche-Magnitron which changed her genetic structure into a half-Kree while at the same time giving her superpower. After all those incidents, Carol was kind of demoted, which led her to write angry stories about NASA and eventually became a writer. This was also the time when Carol had a dual personality due to the Psyche-Magnitron’s effect. Thankfully, she got helps from Hecate and Ronan the Accuser and eventually recovered from her fractured memories. Since then, Carol established herself as a prominent hero in New York who worked with famous superheroes like Spider Man or the Avengers. Since Carol’s body was enhanced by the Psyche-Magnitron device, her overall physiology became superhumanly powerful in all aspects from strength, durability, stamina, speed, reflexes, to agility. She is also capable of flying. She can fly at 3 times the speed of sound for a very long time; however, her true top speed is still unknown. With all that said, her most powerful ability is the Energy Absorption power which allows her to absorb various energies to temporary boost her own physical power. She is also capable of firing photon and stellar-light energy blast from her hands. 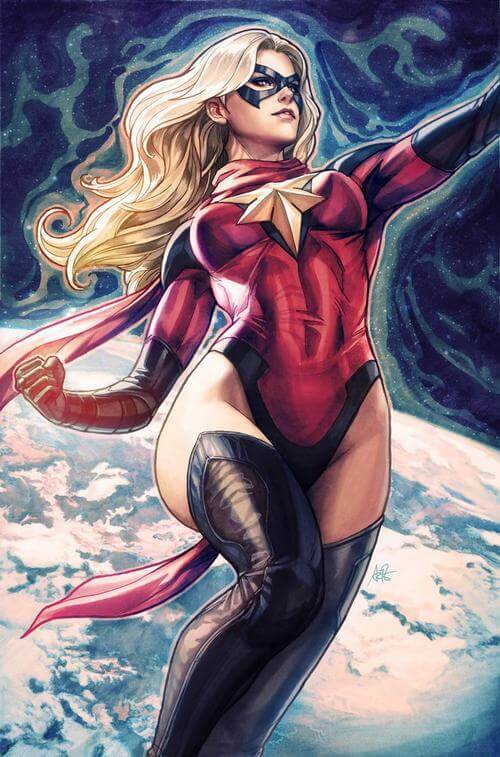 Carol is also capable of Cosmic Awareness, which allows her to predict enemy’s attacks. However, this ability is rather unreliable due to its inconsistency. And if you think Captain Marvel’s power to be unimpressive, that is because you haven’t seen her prime in the form of Binary. At a certain point in Carol’s life, she was abducted (Carol really has some problem with abduction and kidnapping, isn’t she?) by the alien Brood and used as an experimental subject for an evolutional ray. As the result, the ray gave a boost to her genes, making her a cosmic mutate called Binary. 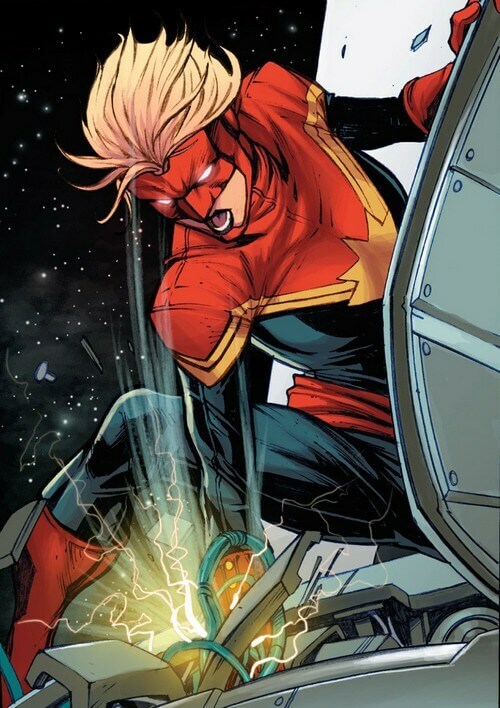 As Binary, Carol was at least two times stronger (possibly even much higher) than her normal Captain Marvel state. Her power was linked with the power of a white hole which can generate heat, light, radiation, and almost all other forms of energy in nigh-solar level. 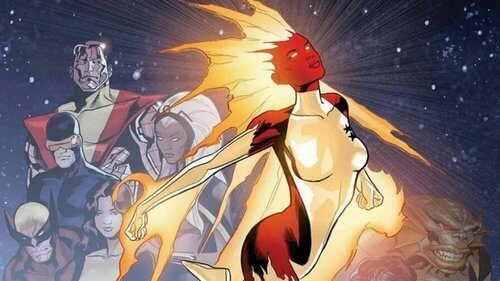 She gained extremely more powerful physiology and even traversed space with no issue, while in her normal Captain Marvel state she required some supporting gears. It was said that Carol’s Binary form could even survive the space vacuum without any sort of aid. Although Carol has lost this Binary power, it is rumored that she could regain Binary form once again for a short period if she can absorb enough energy. 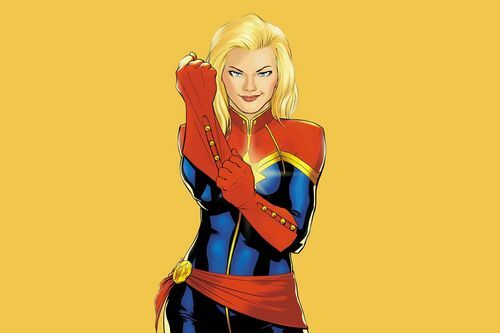 Captain Marvel’s released date is confirmed to be March 8, 2019. This means the film is set between Avengers Infinity War 2018 and Avengers 4. This is quite a good set-up since by the end of Avengers Infinity War; Nick Fury did give a hint of Captain Marvel’s appearance with her insignia. For this reason, many people speculate that Captain Marvel will definitely appear in Avengers 4 and high chance that she will play an important role in defeating Thanos. 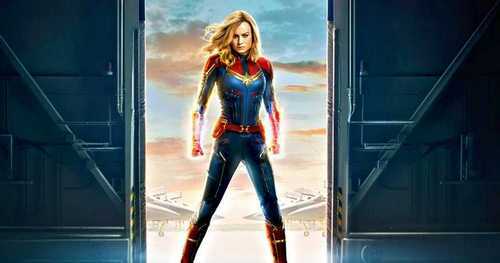 Unlike many other superhero origin films like Captain America The First Avenger, Iron Man, or Thor, Captain Marvel is said to not take place when she was a pure human, but after she got her enhanced half-Kree physiology. The film is confirmed to take place during the 90s. 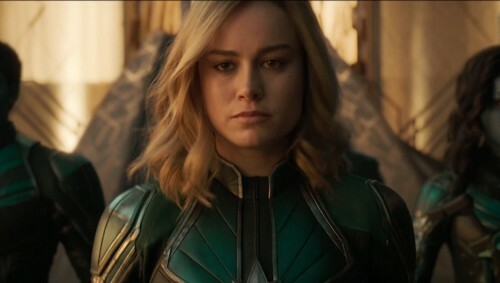 In the trailer, we saw Carol fell from the sky and it seemed she had worked as a member of Kree military force known as Starforce prior to this scene. For some reason, she decided to leave the Starforce and return to Earth in order to seek answers of her origins and her true self. That said; this path of her will not be a simple one as it is revealed that the Skrulls will make appearance in the film. The Skrulls is an aggressive shapeshifting alien race and they are mortal enemy of the Kree. Judging by this info, there is high chance that we will get to see a battle between the Skrulls and the Kree on Earth. And Captain Marvel will play a vital role in putting an end to it. Captain Marvel 2019 is directed by Anna Boden and Ryan Fleck. Of course, we already know the actress who will play as Carol Danvers/Captain America: Brie Larson. Interesting enough, her Captain Marvel suit is kind of different than her original comic version with the bright-blue tone rather than dark blue/red. But possibly this is just her Starforce uniform. 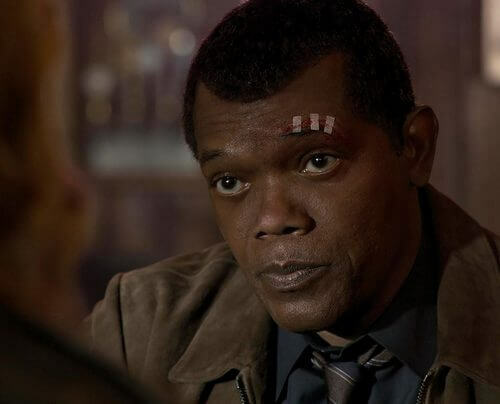 Samuel L.Jackson is 100% confirmed to appear as younger version of Nick Fury. In this timeline, he still has both of his eyes intact and he seems to already know Carol. He is also expected to be a prominent supporter. 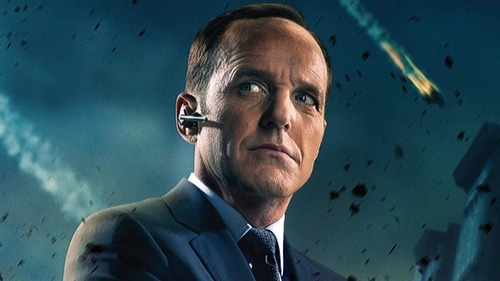 Another fan favorite character – the younger version of S.H.I.E.L.D agent Phil Coulson (played by Clark Gregg) will also return; however, his role detail is yet unknown. 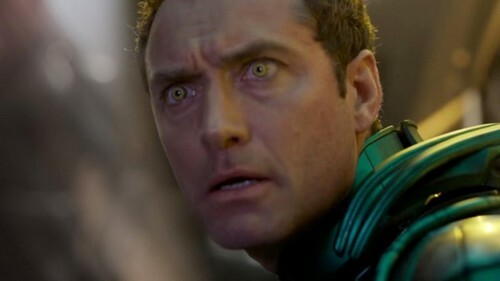 Mar-Vell (played by Jude Law), Carol’s Kree friend in the original comic, will appear as the leader of Starforce and also Carol’s mentor who helps her in mastering her newfound power. 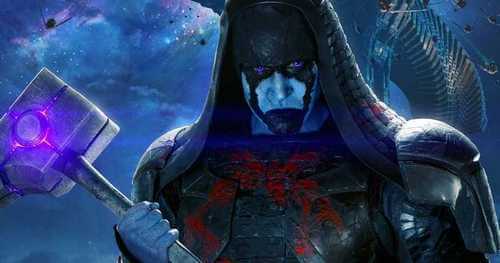 Ronan the Accuser (played by Law Pace) will return and he is more likely to play the role of Starforce’s associate. Note that during this timeline he was not the villainous like his future in Guardians of the Galaxy 2014. However, it will be fascinating if the film explains why he becomes a villain in the later movie. It is also possible that he will play an important role in invoking the war with the Skrulls. On the Skrulls side, we have Talos (played by Ben Mendelsohn) – leader of the Skrulls, and of course, his motive is still one big question. And that’s it folks! If there is any other info we’re missing, please let us know and for now, thank you and stay tune for more news in the future!